For Purva-azadha births of a masculine valence, the condition of sweetly musical, artistic, harmony-seeking, negotiating, balancing, arranging, designing, matching, pairing, sensually pleasuring akarshana-karaka Bright Bhrigu may considerably affect the outcome. Purvazadha are often musical entertainers and poets, with a gift for playing many instruments and making lyrical arrangements that appeal to everyday folks. Typically Apah-born are attracted to sacred doctrine. They are self-indulgent and pure of heart. Their complexion may feature a Guru-golden glow. Male births in Asadhash tend toward a discordant costume sense representing the incommensurable agenda of Zukra vs. Guru. In addition to Zukra endowments in diplomacy, beauty, and musical arrangements, their Guru-influenced humanism and compassion often includes inspirational roles that benefit women, musicians, and creative artists. "... corresponds to rather a low type of character . One who does not wish for and does not get the gracious things out of life. with very few educational advantages. Quarrelsome and low in appearance and manner. but ineffectual if put in authority ." Garcia's father was a musician and tavern-keeper. Dad was killed by drowning when Jerry was only six years old. Surya in bhava-8 father known by shadow. Pitrikaraka + ruler of pitristhana Surya-8 * Mr. Garcia's father, who was also a musician, died from accidental drowning during a family holiday when young Jerry was only six years old. 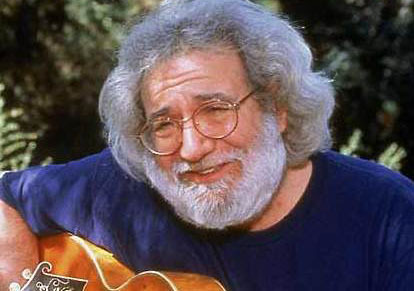 iconic symbol of a multi-decade nationwide social movement of tribal feelings and rhythmic undulation "Deadheads"
Garcia toured and wrote with his musical band (Budha). The show went on the road constantly for thirty years. Yet their list of venues did not change very much. Like migrating wildlife, they returned to the same locales, year after year. Garcia liked a predictable (Chandra) calendar of gatherings in familiar (Chandra) places. Mangala in bhava-9 indicates excessive force involving the father, Dad drowned at little Jerry's age-6. Like most people with Shani in Bhava-6 , Garcia struggled with a variety of chronic (Shani) health conditions (6) beginning early in life. Shani in Bhava-6 rules bhava-3Kumbha = mass gatherings, social-participation movements. The key feature of most Grateful Dead occasions, aside from the live and taped music, was the arising of a drug (6) marketplace..
Shani occupies 6th radical bhava. The fans distinctively did not want to hear new creative material (Shani resists change). any papagraha in bhava-6 can be beneficial. 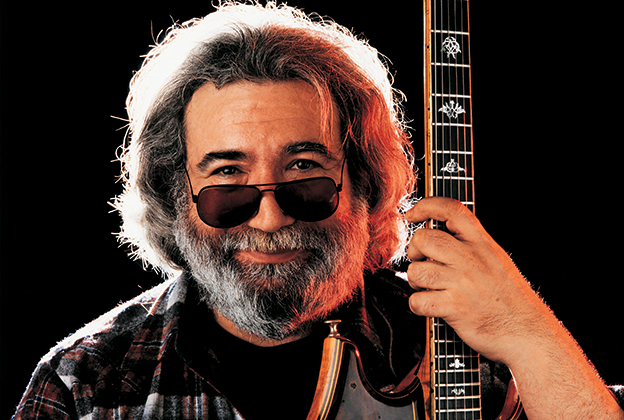 Mr. Garcia began self-medicating at age 15 and continued until his death age 53. Among numerous other health challenges, he was also a diabetic heroin addict. Despite many police arrests (6) Garcia never went to prison nor even to jail more than overnight. He was a frequent patron of rehabilitation "detox" residential treatment centers. Shani-6 drishti to 8-12-3 is generally helpful by providing resistance to the outcomes of 8, 12, and 8th-from-8th. Shani in Bhava-6 ++ Shani rules Ketu-3 ++Shani casts drishti upon 3 ++ Shani occupies the emotionally motivated evangelical communicative cohort instructive descriptive team-working administrative managerial announcing publishing reporting explanatory conversational lyrical messaging 3rd-from-Chandra. Shani's ruler Zukra ++ Zukra rules the musical but drug-prone Purvazadha lagna. 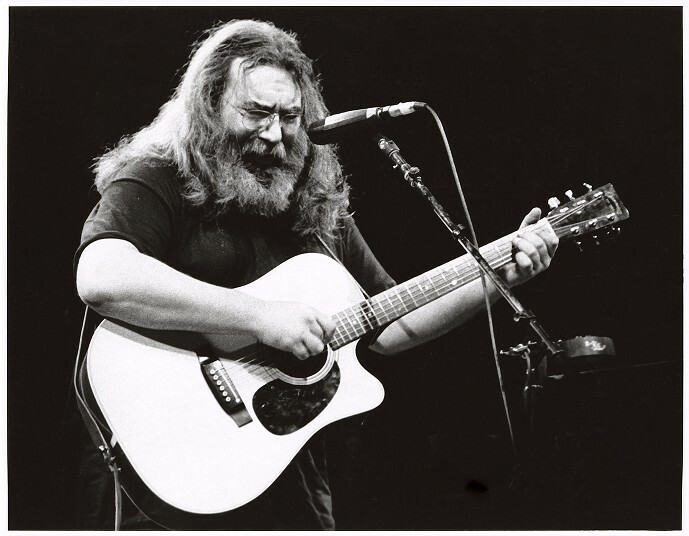 Garcia developed a traveling musical band (3) which toured (Ketu-3) constantly for decades (Shani), rarely altering the performance routine (Shani prevents change). He toured with a musical band of friends (11) for 30 years, many times expressing exhaustion but always, usually for reasons of indebtedness (Shani-6) returning to this work. 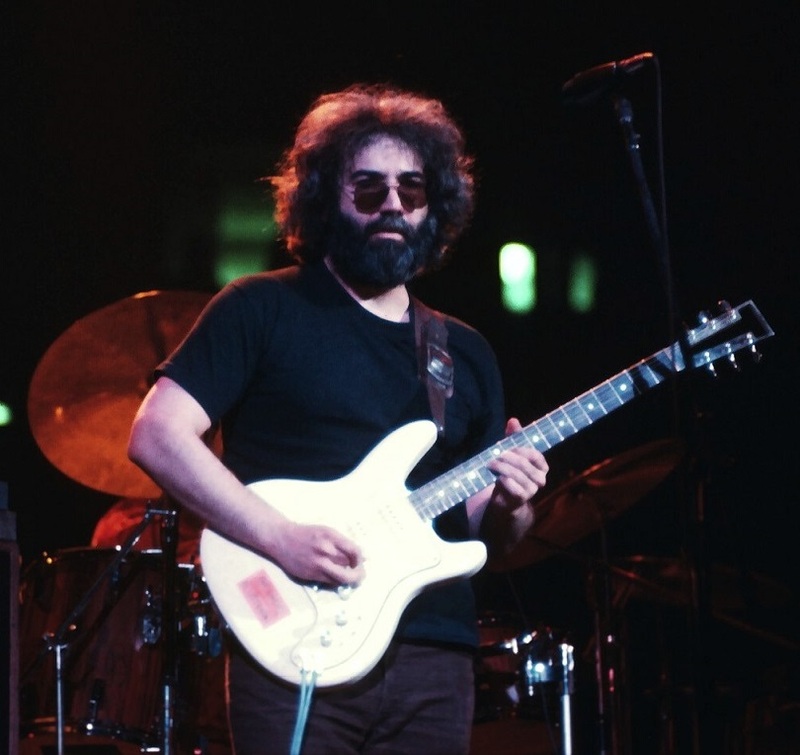 Although an iconic figure, he was never the sole center of the Grateful Dead and other bands. Garcia with the home-and-routine needy Karkata-Surya-8 was never inclined toward the singular focus royalty-celebrity lifestyle often feigned by popular stage performers. Shani's ruler Zukra-yuti-Guru and Guru casts dirshti into 11-1-3. The ensemble (3) toured in a drug-fueled environment which also defined their musical performances. Ketu in classroom-3 * absentee sibling, off-topic communications, disinterested in daily discourse, dissolved messaging boundaries, disregards conventional discussions, eccentric or esoteric modes of writing, irrelevance of the mental narrative. One abandons the management tasks, dismisses the standard explanations, walks away from the usual descriptions.